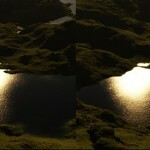 Greenworks now offers Terragen 2 Animation bundled with 1320 of their plants at only $699! This offer is valid through May 30. TG2 Animation alone costs $299, so you essentially get models of 440 different species for $400. A pretty good price. If you buy the plants through Greenworks’ online shop, you will only get about 54 species for the same money! I guess most of you already know this. Matt announced the final release of Terragen 2 will be released be this march. He also made clear that the deadline for pre-purchasing TG2 will be announced beforehand so that everybody who want’s to get a copy at the lower pre-purchase price will be able to do so. However.. Planetside has been very bad at announcing release dates. A final release has been announced several times in the past and nothing ever happened. So we’ll have to wait and see whether or not something happens in the next two weeks. Number of Samples is a parameter that can be found in the settings of Cloud Layers and Atmospheres, located in the Atmosphere tab. It changes the quality of the clouds and atmosphere respectively by reducing random noise. I’ve been pretty busy the last months and there haven’t been many articles except to inform about updates. This will (hopefully) change very soon! Well, probably after christmas etc. Unless a new release of TG2 happens before..
For a start, I made a new header image replacing the boring default one. After having seen this painting by Tinga I’ve decided to try an iceberg with TG2 but make it more realistic than the TG2 icebergs I’ve seen lately. I think it came out pretty nice although it’s still far from being photo realistic. The beta has just been released to the purchasers of the deep editions. As usual, you can download it using the link in the e-mail that you got or via the update function. Though well behind schedule, Planetside included some new features like an unlimited undo history, more anti-aliasing algorithms (including some sort of blooming) and the new painted shader. Fortunately, they all work and didn’t seem to introduce any new bugs. Plus they are really useful! Especially the painted shader will come in handy in countless situations. Combined with the right nodes, you can paint holes into clouds to get rays pointing exactly to the place you want. You can draw populations, displacement, textures where you need them. As usual, a number of known problems with the renderer and ui have been fixed, some improving perfomance a bit – but there are still several bugs to be fixed. A complete change list can be found in the Planetside Forum. It seems a release this year might be possible. Stephen has released an update for World Machine 2 fixing various problems that occurred with WM2 and improving support for vista. The new Free Edition can be downloaded from the website. Instructions for owners of a standard or professional license as well as a change log can be found at the WM forums. 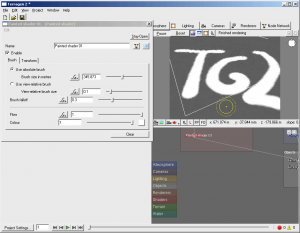 Finally, users of the free version can benefit from all the improvements made since TP2! You can get the fifth tech preview on the website. Planetside just released the fifth tech preview! You can get it by following the link in the e-mail you were sent. The new build contains multple bugfixes and changes to the surface and distribution shader. You can at last mask the surface shader with a blending shader of your choice without having to use the fractal breakup workaround. The distribution shader has options for altitude and slope key now. 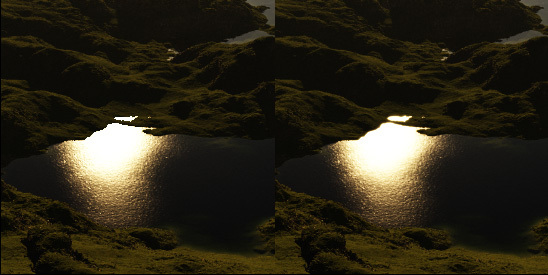 The planet surface shader has been removed and will not be developed further in the future. edit: The update is for pre-purchasers only, the announcement can be found over in the planetside forums. Translation – Found a mistake?